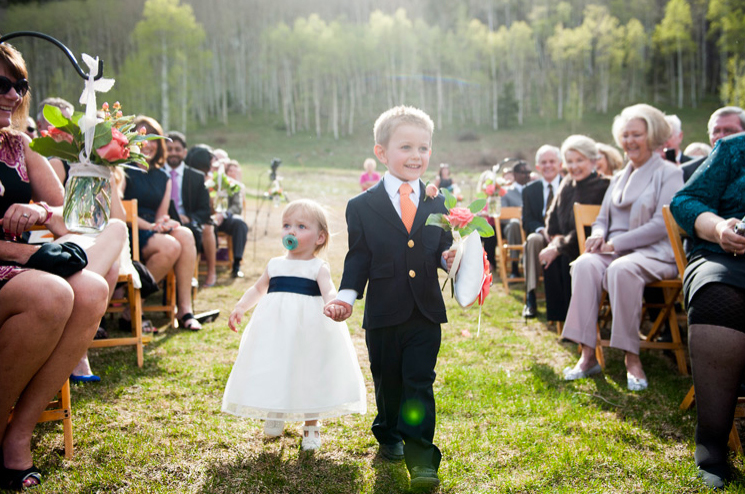 Having a bridal boutique situated in Denver, Colorado means that, here at anna bé, we see our fair share of beautiful and awe-inspiring mountain weddings. 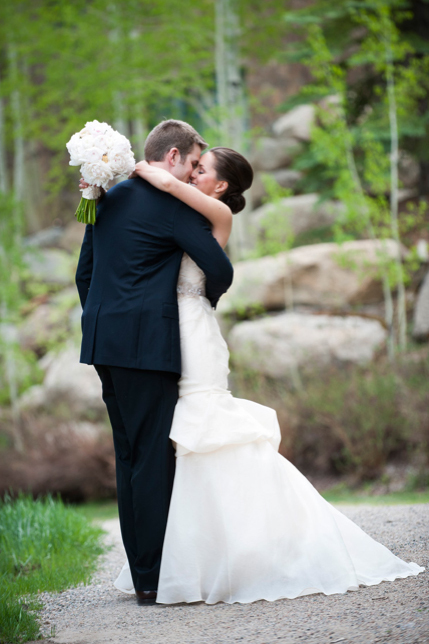 And the wedding of our anna-bé bride, Kelly, was nothing less. 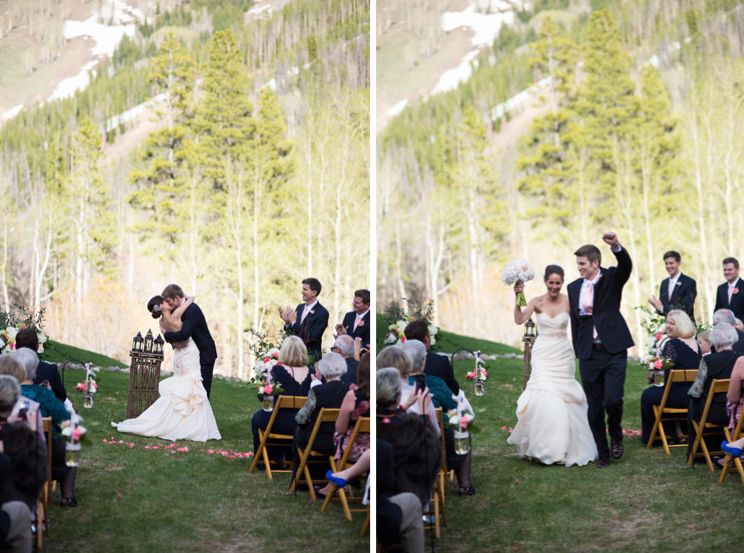 The lush greens, tall aspens, and wooden cabins provided the perfect backdrop for a rustic, yet romantic wedding nestled in the mountains of Beaver Creek. 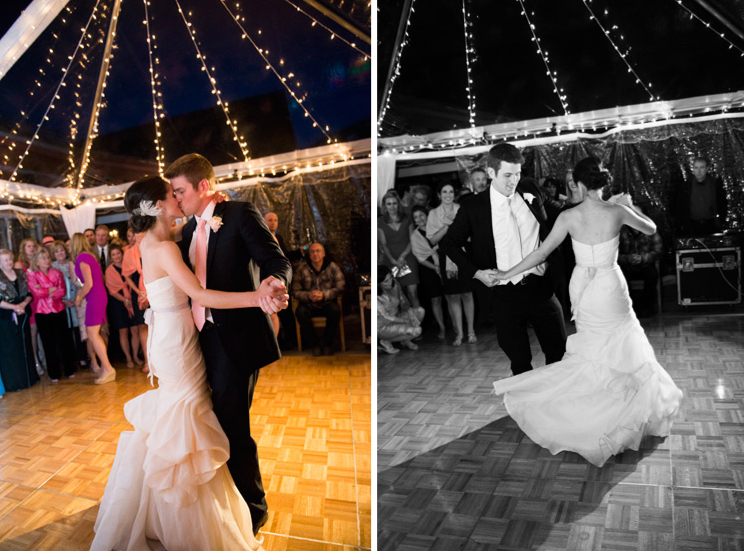 Brinton Studios beautifully captured each moment of Kelly and Erik's special day, perfectly highlighting Kelly's gorgeously blush Monique Lhuillier gown against the mountain backdrop and while dancing the night away at Beano's Cabin. 01. What was your favorite part of finding your gown?... having my mom and sisters with me and seeing their faces when I put on THE dress. Not to mention Anna Bé is right near some fabulous restaurants so we made a whole girls night out of dress shopping! 02. 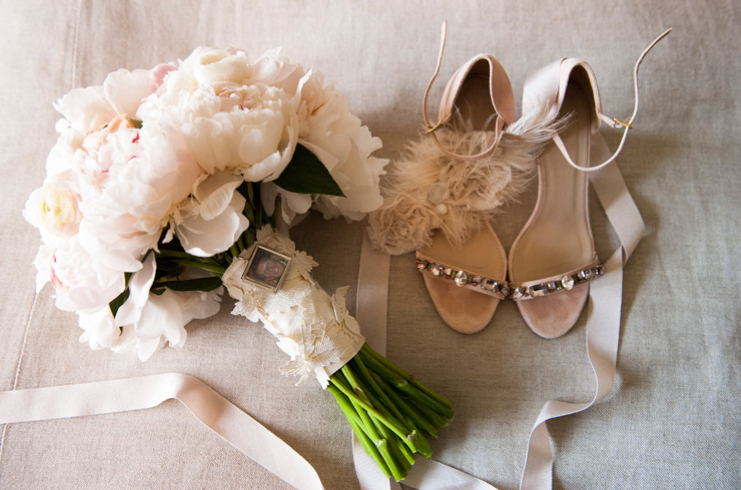 What did you splurge on for your wedding?... My dress, but it was such a unique color, fabric and style that it was well worth it! 03. What was the best part of your wedding day?... Having all our family and friends together up at Beano's Cabin on Beaver Creek mountain for our ceremony and reception. 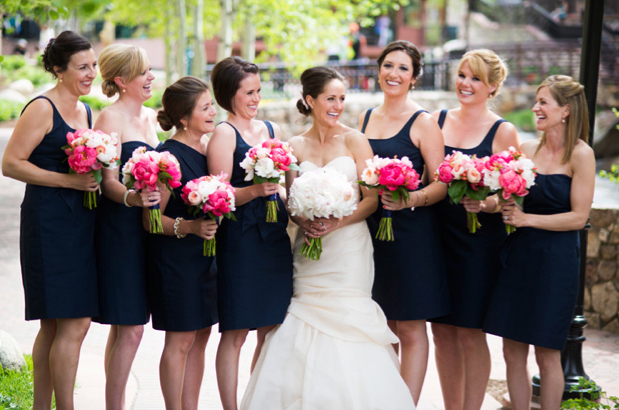 Kelly's Beaver Creek wedding was also published on Style Me Pretty and Luxe Mountain Weddings!